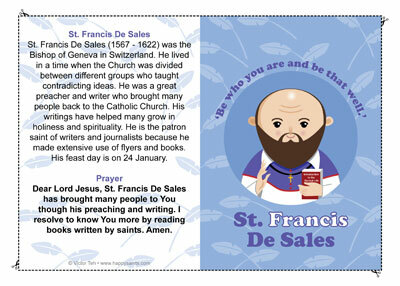 For the Year of Faith... a free St. Francis De Sales printable prayer card to remind your family, friends and yourself to know your faith better! St. Francis De Sales wrote a great deal about the faith and did much to spread the knowledge. He is definitely someone to help us in our journey of faith! His feast day is on 24 January!